Life has slowly picked back up again. Not that it wasn’t going on before, but more so the daily-ness of life. We’re back to some of our routines and making time for the things we enjoy. That means we’re still making progress, just not as quickly as before. We’ve continued with our plan to work through the pile of shelving and finish out the rest of the closets. As we worked on the pantry and I realized how much space I have, I decided to change up one of the kitchen cabinets we designed. I had originally planned a broom closet to match our kitchen cabinets and sit between the kitchen and the mudroom area. Interestingly enough, our cabinet maker built the broom closet with adjustable shelves. Since the brooms and mops didn’t fit in there quite the way I wanted, I decided to install the shelves and use it as a game closet. It looks like that’s what it was meant to be. And the brooms and mops fit nicely behind the door in the pantry. With nine foot ceilings, we have plenty of storage space. I finally have all of my crockpots inside the house (rather than stored in the garage like we’ve had to before) and I even have room for our toddler booster seat for grandbaby visits. Jon and his dad also finished out the hall closet and guest bedroom closets. However, our painter (me!) still has to paint the shelves and cleating in the bedroom closets. 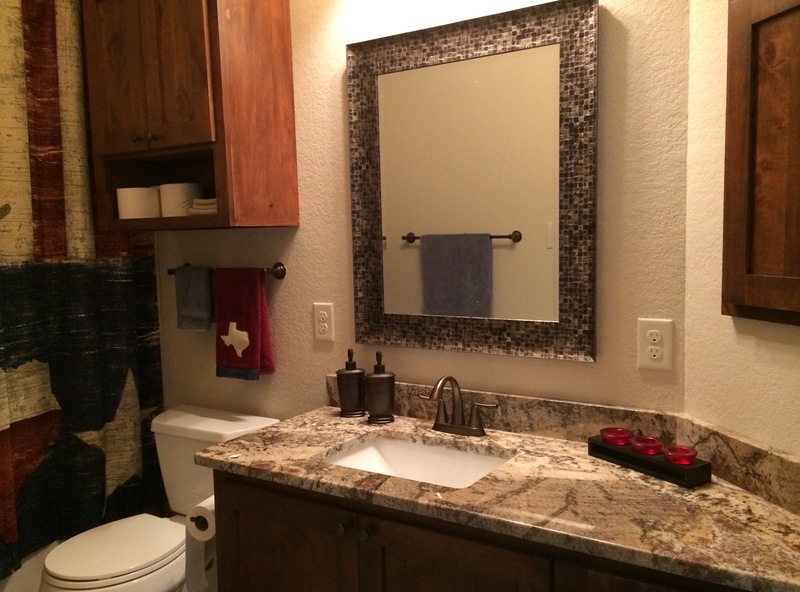 I love the guest bathroom and look forward to family and friends visiting. I’ve tried to put in the extra touches (like a nice tub and shower fixture, among other things) to make our guests feel pampered. 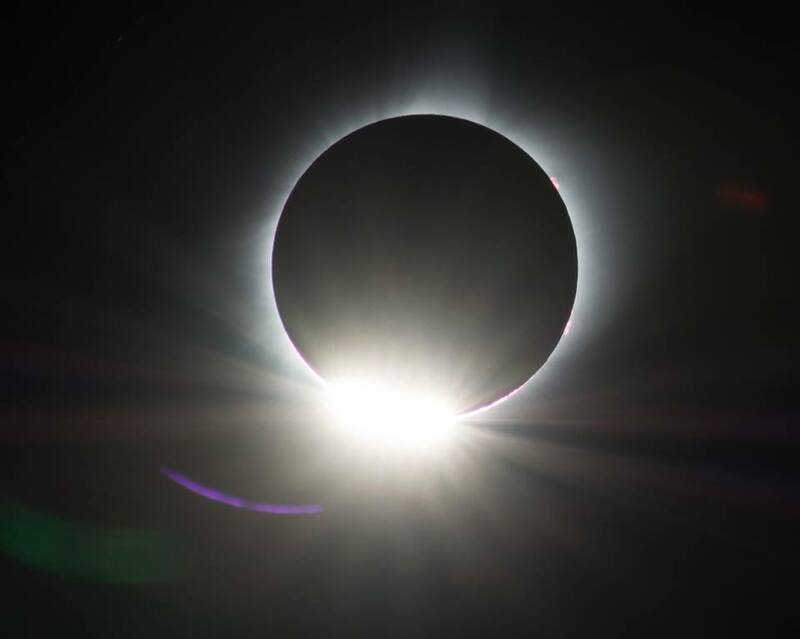 Jon and his best friend, Mark (who has provided arial shots of our property in previous posts), had an epic trip planned for quite some time – to experience the Solar Eclipse 2017. Given the crazy year we’ve had so far, I wasn’t planning to go. But when Jon told me he really wanted me to experience it with him, I changed my mind. We packed up our vehicle at the same time our youngest packed his. He headed back to college for his second year, we headed out on our pilgrimage north, to the swath of totality in Wyoming. We spent the first night in Lubbuck with Jon’s brother and wife, Craig and Amy. Craig also had plans to drive to an area of totality, but he was bravely taking his two teen/preteen daughters and friends. The second day we drove on to Denver where we stayed with another of Jon’s brothers and wife, Jim and Vanessa. From there we headed up into Wyoming. We had reservations in Laramie, because there was no room at any inn anywhere within totality. There we met up with Mark and his daughter Aubrey and on Monday morning we woke up early (hoping to avoid traffic) and took local highways and back roads up into a national forest west of Wheatland and near Bearhead Mountain. Hundreds of our fellow eclipsers lined the dirt road, some having camped overnight and some having arrived before we did. We finally came across a place to pull off that nobody had yet claimed, with plenty of room for both our vehicles. When we looked up at the rock cliffside across the road, we noticed we were in the “shadow” of the cross, so to speak. And had parked at the entrance of Camp Grace. How awesome is that? The guys set up their cameras and Aubrey and I set up our chairs. Then we waited. We, like much of the country, watched, through our eclipse glasses, the moon slowly slide in front of the sun. All I can say, is the difference between 99% and 100% is amazing. One second, the sun was still to bright to look at and the next, took my breath away. This is one of the pictures my husband captured. But he agrees, pictures don’t do the colors of the eclipse justice. What an amazing phenomena to experience. If you’d like to see some more pictures, check out my Facebook profile where Mark Langford tagged me in some of the photos he took. And a shout out to Marlin for letting us use a small spot on the camp property. So, that’s why our house hasn’t been coming along as quickly as it was before. And we’ve returned home just in time for the excitement of Hurricane Harvey. As our encounter with Hurricane Katrina twelve years ago (I shared my experiences at the ten year anniversary in my posts in 2015), we hold our breath as the storm makes its way to the coast, wondering what it will leave behind in its wake. Praying for all of those in its path, as well as the decision makers and first responders. This entry was posted in Abundant Living, Hill Country Living and tagged Bill's Cabinet Shop, Camp Grace, Mark Langford Photography, Solar Eclipse 2017, Texas Hill Country. Bookmark the permalink.